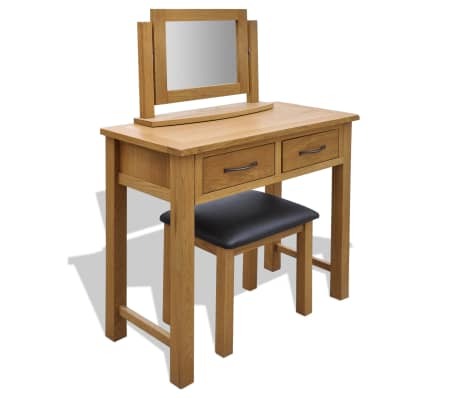 This dressing table is great value for money! 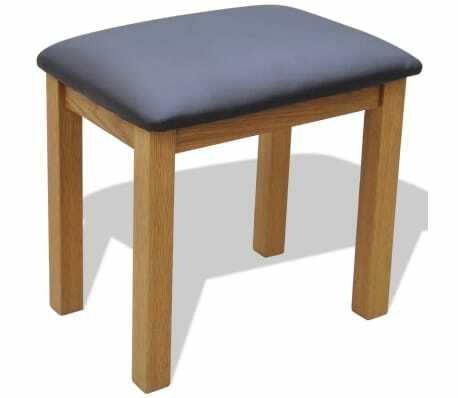 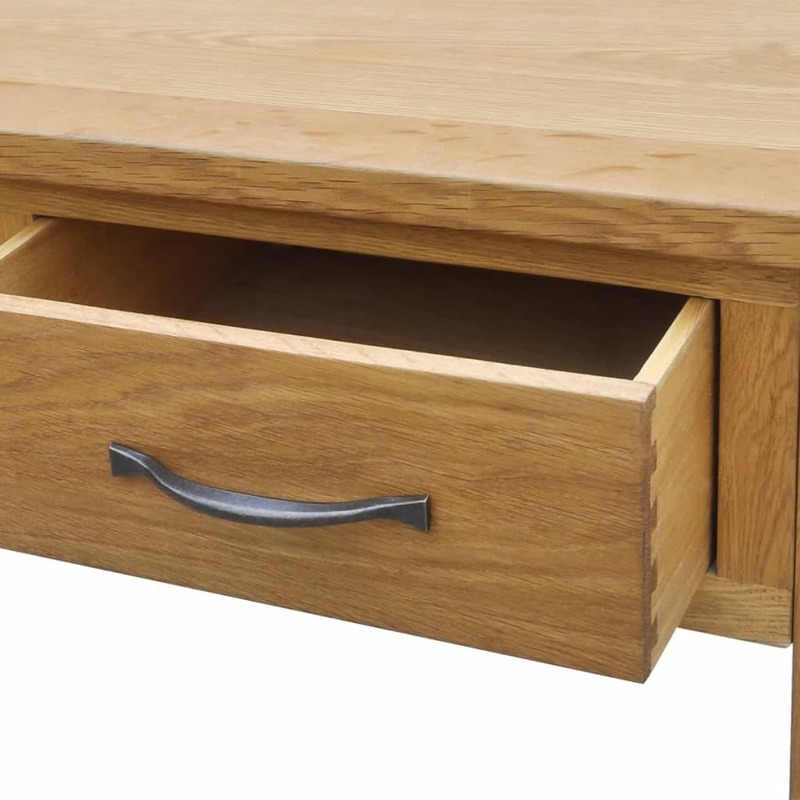 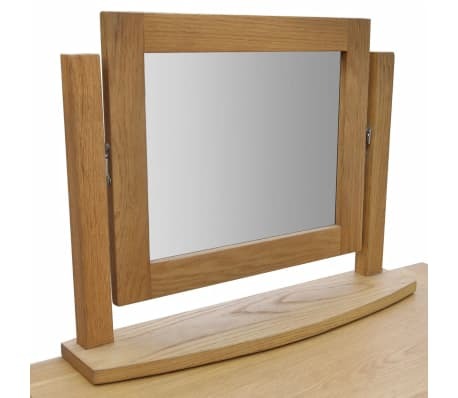 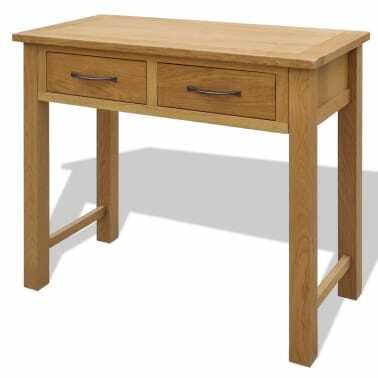 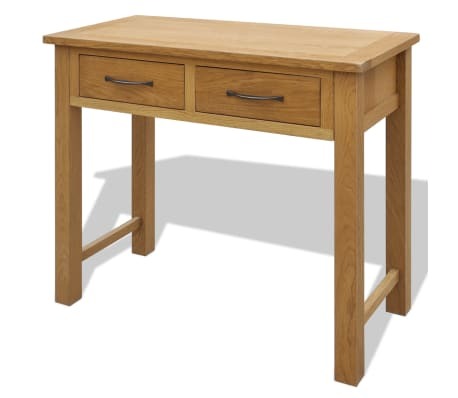 It has a natural oak color, as it has been crafted from high-quality oak and other selected hardwoods. 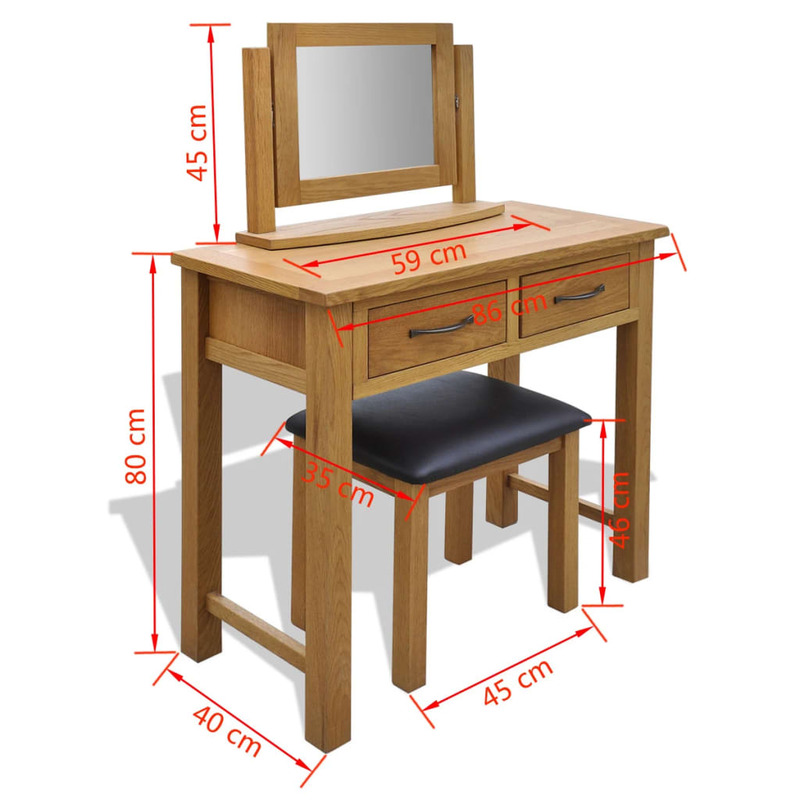 This beautiful set is completed by the matching stool with artificial leather upholstery and a stylish mirror. 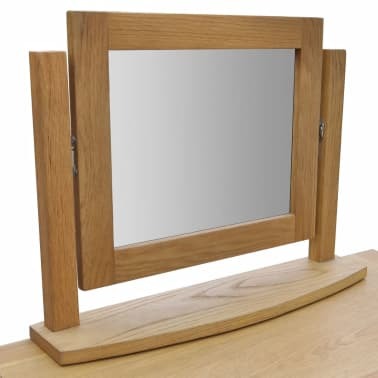 The rounded edges of each piece add to the rustic charm of the design. This robust and durable vanity set will make a practical as well as decorative addition to your bedroom. 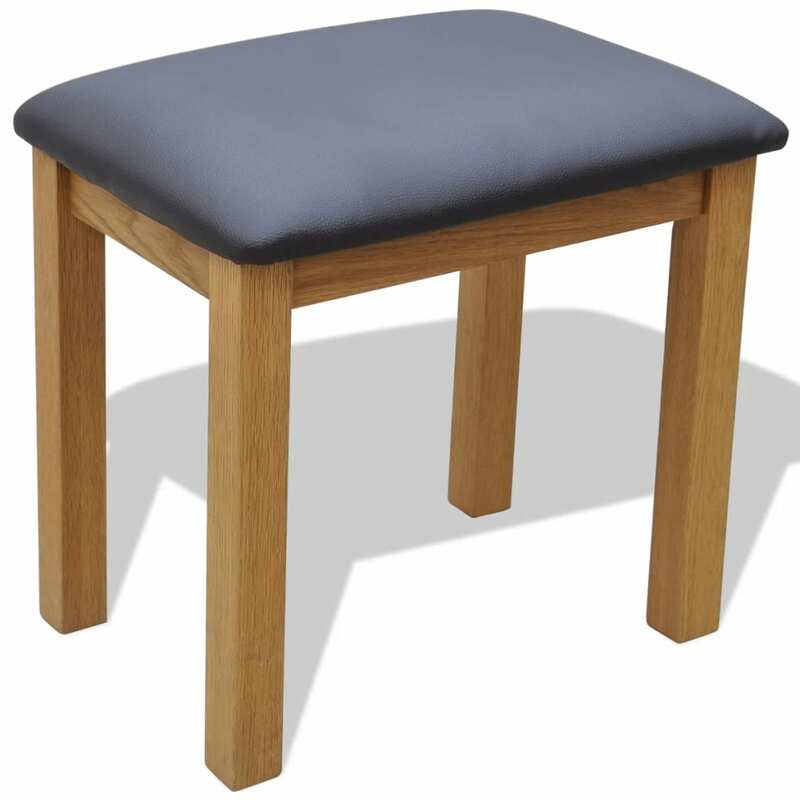 The back of the unit is made of thick plywood and the sturdy stool with artificial leather upholstery is comfortable to sit on. Delivery includes 1 dressing table, 1 mirror and 1 stool.